Miami, Florida, April 21, 2014 – Nicaraguan manufacturer and seller of 1502 Cigars, Global Premium Cigars, is pleased to announce their new vitola for the well-reviewed 1502 Emerald: Lancero. The Lancero vitola is sure to strengthen the already highly-rated 1502 cigar line. 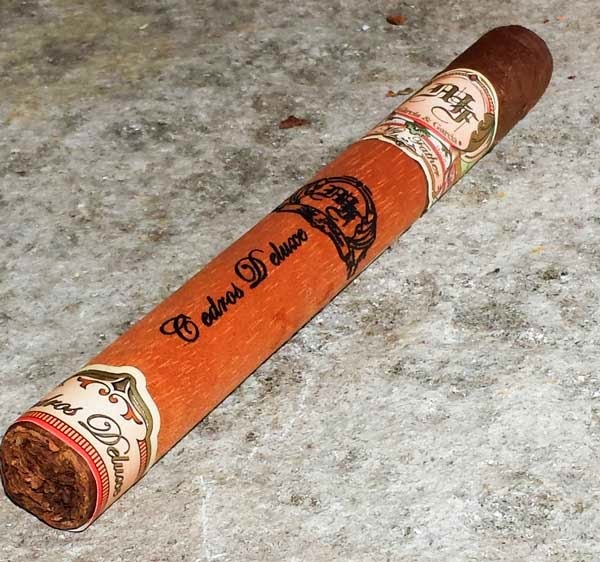 Measuring 7'' x 40,'' the Lancero offers the popular Nicaraguan blend present in all 1502 cigars, and is also finished with the signature "Cigar Lock," a partially covered foot. The Lancero Emerald will also be offered in boxes of 25, box-pressed. 1502 Cigars CEO Enrique Sanchez anticipates cigar aficionados everywhere to be thrilled about this new vitola. “The Greatness lies in the power of being different,” he stated. Individuals interested in this new Lancero Emerald are encouraged to order before supply runs low. Opening the bag I was greeted by a robust aroma mix of chocolate and coffee and as I poured beans into the grinder I can see a bit of oily caramelization. So far, so good. 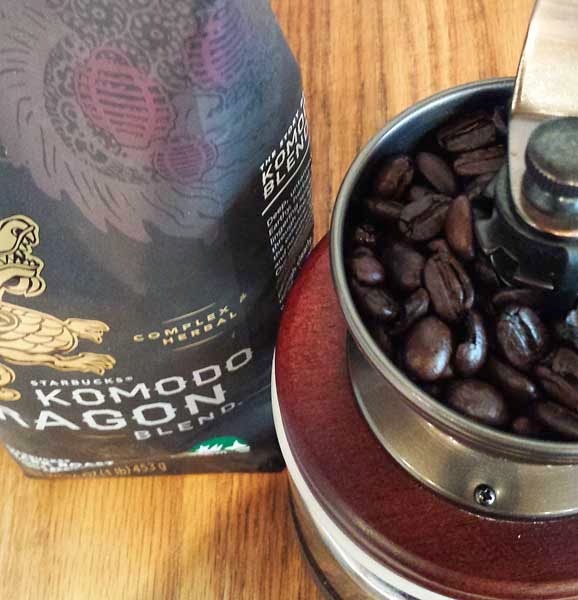 It only took about two turns of the grinder before I noticed that this Komodo Dragon Blend was the softest coffee I had ever ground. In the past I've never really noticed a difference in beans while grinding, but these beans felt like I was grinding butter. I don't know if that means anything but it really struck me as odd. From here, things went south a bit. I ended up trying three different grinds and brewing methods to find a cup I was happy with. My first attempt, which is my new normal was a pour over. As the water hit the ground beans a nice bloom developed followed by a nice earthy aroma. Tasting this cup I found it to be bold, which is great, but it had flavors of damp earth and a very heavy, meaty mouth feel. As I sipped away and the cup cooled no other flavors developed but some bitterness did. Being unhappy with the pour over results, the next trial was done using my auto drip maker. This method did have much different results and may up being the best way to deal with the remaining beans. The coffee this time was brighter, had a bit of crispness to it and the same earthy flavors with a slight hint of citrus. However, as this cup cooled, it too developed some bitterness. With two disappointing experiments in the books, I went to my old standby, the French Press. Again the coffee developed a nice bloom and an earthy aroma when hot water was introduced. I found the same meaty, earthy flavors and for the first time a bit of bitterness right up front. Since I still had two cups remaining in the press I tried adding a bit of sugar to the second cup. What a surprise. Half a teaspoon of sugar really cleaned the second cup up bringing out some brightness and turning the heavy mouth feel into more of a pleasant syrupiness. However, as second and third cups cooled, the same bitterness showed up. Just a note, not only was the coffee bitter as it cooled, it left a lingering bitter aftertaste on the roof of my mouth. Overall I was extremely disappointed with this Komodo Dragon blend from Starbucks, but by adding sugar, I should be able to finish the bag. I am giving this coffee a 3.5 out of 5 star rating. I'm always searching for the next great cup of coffee and Sumatra Mandheling is deffenitly one of my favorites. I found this Cascade Pride Sumatra Mandheling the other day so I decided to give it a try. The Winco Foods web site only has a brief description of the coffee, but they hit it pretty close to the mark. Their site says "Sumatra Mandheling mellow flavor & full body, a smooth and earthy cup. There are no origin, growing or processing details on their site so this review will be short and sweet. The roasted Cascade Pride Sumatra Mandheling beans had a slight oily caramelization to them and they had a nice chocolate and coffee aroma from the from the bag. Once the beans were ground, the aroma changed to more of a toast and coffee mix. On the pour over the brewing coffee gave off a pleasant radiating aroma of toast. With the first sips, I found the Sumatra Mandheling to be smooth with a hearty, syrupy mouth feel and mellow, muted flavors of caramel and toast. Perhaps, toast in the coffee world is called earthy, but it wasn't earthy like a earth would taste in a cigar. As the coffee cooled in the cup it remained smooth but took on more of a fresh baked bread flavor. Overall, the bright, crisp flavors I expect from Sumatra Mandheling weren't there, but the smooth flavors, syrupy feel made up for it. I have consumed several cups of this now and find it to be a consistently good cup of coffee. I give this Cascade Pride Sumatra Mandheling a 4.6 out of 5 star rating. Being a Man O' War cigar fan and a fan of almost every thing AJ Fernandez blends, smoking the new Man O' War Ltd. Edition - Orange County Choppers cigar was a must do, no brainer for me. This cigar is hand-crafted in Esteli Nicaragua by AJ Fernandez and is a limited production run of 5000, ten-count boxes. I was lucky enough to pluck the first stick from a freshly opened box at Cigar Train the other day. Physical appearance of this cigar matches every thing in the Man O' War line, it's top notch. The dual silver on black bands feature art work from both Man O' War and Orange County Choppers while creating a nice focal point on the dark Ecuadorian sun grown wrapper. Looking at the wrapper itself, it's oily cold, has a bit of tooth, has only the finest of veins and it was rolled on with near seamless precision. Testing the foot for aromas, there where hints of spicy toast. The same flavors were found from the cold draw once the cap was clipped. Upon lighting the cigar, initially notes of Oak, rich tobacco and spice came through in the first few mouthfuls of full bodied smoke. As the burn progressed other flavors came and went. There were nuances of cocoa, raisins, brown sugar, nuts, coffee, earth and mild black pepper. These flavors came together in the final third creating a long, tasty, burnt mocha with extra sugar finish. As the Man O' War Ltd. Edition - Orange County Choppers cigar burned, it left behind a soft light gray ash and a oil line developed on the wrapper. I accidentally knocked the ash off about one inch into the cigar. I have to say, the Man O' War logo got me smoking these cigars, but it's defiantly the flavors that keep me coming back for more. If you haven't tried any of the Man O' War, I think you are missing out on some great cigars! Once the Series H Maduro is free from the cellophane you can immediately see the near perfect construction of this cigar; it's as close to perfect as I have ever seen. The stout, toothy, seamless maduro wrapper had only the finest of veins and cold it even had an oil sheen. Testing the aromas from the foot there was a faint presence of rich tobacco and after clipping the cap the firm, yet free, cold draw had notes of cocoa and toast with a lingering spicy aftertaste on the palate. After the Series H Maduro was burning, the initial flavors were a mix of spicy cedar, cocoa and a hint of fruit, while the wrapper left behind a nice sweetness on the lips. These flavors remained pretty consistent for the first half of the cigar but in the final third the flavor mix kicked into high gear. In the final half, the flavor mix jumped around with nearly each draw. 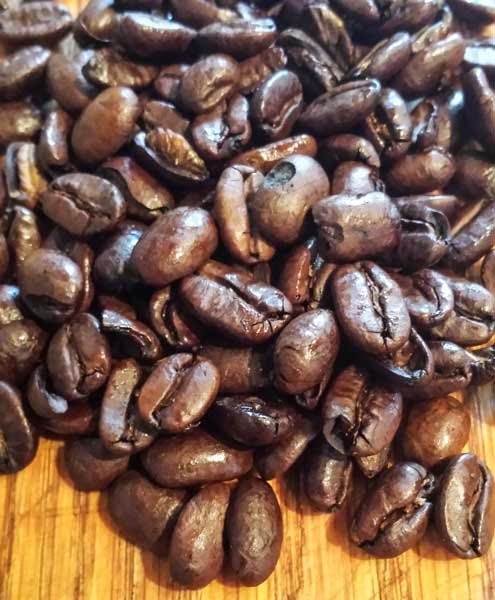 There were flavors of sweet chocolate, black pepper, cream, sugar, earth, espresso and fruit, combining in the final couple of inches to make a great "burnt mocha" finish with an underlying hint of fruit. It was very tasty! As the cigar burned, it left behind a soft light gray ash that stayed in place for about two inches while at the same time burning cool down to a lip blistering nub. Like I mentioned earlier the construction was great, in fact it was so good I gave it a 20. Only one other cigar has ever achieved that rating for construction. I would like to than the House of Emilio for providing this sample for review. The first thing I noticed after freeing the cigar from its cellophane was the striking contrast between the white with gold band and the shade grown Habano-Rosasdo wrapper. Getting past the nice aesthetic appearance and turning the attention to the cigar itself, the overall construction looked great. The oily, toothy, seamless wrapper contains only a couple of small veins and its packed firmly from head to foot. Testing cold aromas there were hints of oak, molasses and fruit from the foot. Once the cap was clipped, the free cold draw had nuances of fruit, oak and white pepper with a lingering sweetness on the palate. After the cigar was burning it produced a large volume of medium bodied smoke from both ends while providing flavor notes of wood, toast, earth, a touch of fruitiness and some spicy cedar. As the burn progress it left behind a firm white ash that held on past the first third and flavors of cream, molasses entered the mix. The final third finished with a full bodied mix of medium black pepper, charcoal, molasses and toast. Overall this was a very nice cigar, it had great visual appeal, construction, burn and flavors. This is defiantly a cigar I will smoke again if I get the chance and recommend you give one a try too. I would like to than Brian at Cigar Train for providing this sample for review. Thank you! Well to begin, I picked this cigar up at the time because of the packaging. The band isn't flashy, but between the dual bands and being encased in Spanish cedar the My father Cedros deluxe has an elegant look that just said, "buy me." I always worry about getting a foot band free from a cold cigar, but the band and the cedar, both came off with ease and no wrapper damage. Once everything was removed and the cigar was in full view, the quality of construction was obvious. The Habano-Rosado wrapper was rolled on with seamless care and free from all but the finest veins. There was an oily sheen to the wrapper and even a bit of bloom developing. The cigar was packed well from head to foot and there were aromas of spicy cedar and fruit to the nose. After cutting the triple cap, the firm, but free, cold draw had a light spicy fruit taste that lingered on the palate. 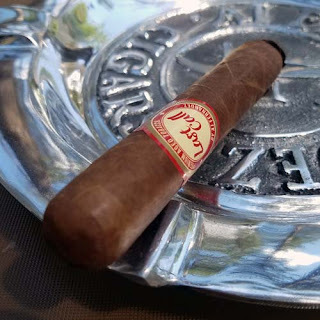 Once the cigar was burning, the mild bodied smoke produced flavor notes of toast, cedar spice, fruit, coffee, anise and brown sugar with a sweet, peat, damp earth finish from the final couple of inches. This was another cigar that was smoked down to a lip burning nub. The 70 minute burn of this Cedros Deluxe Cervantes was razor sharp leaving behind a light, dark gray, firm ash that fell around the two inch mark. Since this is the only Cedros Deluxe Cervantes that I have smoked, I'm not really sure how the long rest affected the flavors, but I sure did enjoy it! I will grab another if I ever get the chance and compare the flavors. I do know that I need to try more My Father products, I've been missing out. This Espinosa Cigars Habano robusto has great overall construction. You can see in the picture that it only has the finest of veins and barely any visible seams. The contrast between the band and the Habano wrapper creates nice visual appeal as well. Physical examination of the cigar reveals that it's packed well full length, there are no hard or soft patches to be found. Checking the foot for aromas there is a hint of fruit, with earth and some coffee. After the cap is cut, the free cold draw has hints of more fruit mixed with black pepper. Once the cigar is burning it produces a good amount of mild bodied smoke and my taste buds detect initial flavors of oak and spicy cedar. As the cigar burns on there are flavors of earth, leather, toast, brown sugar and a mix of toast, sugar, coffee and spicy cedar in the medium bodied final third finish. The flavor mix wasn't bold, or complex but it was very enjoyable. In the first third the burn was a bit wavy and it self corrected by the center of the cigar. Overall the Espinosa Cigars Habano robusto gave me a nice 50 minute smoking experience. I have one more in the humidor and am glad it's there. If you haven't tried one, you should. Today I review the Gonzo Santeria Heina cigar. This is another cigar created by Steven Ysidron of Epicurean Cigars and is distributed by the House of Emilio. According to the Epicurean Cigars web site the Gonzo Santeria is, "Inspired by the exotic cult religion of the Caribbean, Santeria will put a spell on you with its sublime combination of Mexican and Nicaraguan tobaccos is the pinnacle of palatable enjoyment". These box-pressed, Gonzo Santeria cigars are available in three sizes and are packaged in boxes of 50 with production limited to 150 boxes per size. Construction of the Gonzo Santeria is superb. It has a pig tail cap, the wrapper contains only the finest of veins and was rolled on with seamless perfection. From the foot I found aromas of coffee, earth and cocoa to the nose and once the cap was cut the free cold draw provided flavor nuances of cocoa, sandal wood and mild black pepper. Once the cigar was toasted and burning with the first mouthful of smoke one thing came to mind; wow, big, big flavor! My first mouthfuls of smoke had a flavor mix of semi-sweet chocolate, oak and rich tobacco. It was nice. As I smoked on I found the flavor mix to be steady with only a few other flavors joining in. I could detect notes of brown sugar, coffee, cream with a final third finish of chocolate, coffee, cream and charcoal (my favorite burnt mocha). I enjoyed the mix so much that I smoked this Gonzo Santeria down to a lip burning nub. A couple more things worth noting are, the burn was a bit wavy until the mid point, but it never needed correction and the light gray ash held on for the first third. The cigar smoked cool the entire length and the box-press held its shape well. Well there you have it. 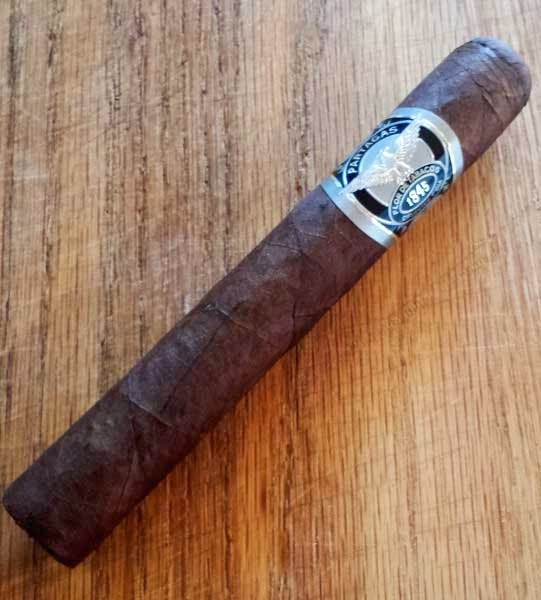 While personally I give a slight edge to the Gonzo Vintage 2007, the Gonzo Santeria is another great limited production cigar by Epicurean Cigars. It had great flavors, construction and burn. It's another winner in my book. I would like to thank House of Emilio for providing the sample for this review. Thank you! Paired with: Diet Pepsi, red wine, champagne. Even through the cellophane you can see this Partagas 1845 Extra Oscuro, is a great looking cigar. The black and silver band really stands out from the dark Oscuro wrapper, the wrapper itself is stout, toothy and oily. You will also see that the wrapper contains only the finest of veins and was rolled on with seamless care. Testing aromas from the foot, there are notes of rich tobacco, leather and a bit of barnyard. Once the triple cap is cut, the free cold draw has notes of cocoa, toast and earth. As the cigar burned it produced loads of full bodied smoke from both ends and firm white ash was left behind. I was a bit surprised the ash fell around the 1" mark, but a nice oil line was forming just above the razor sharp burn. While I smoked on, other flavors that came and went, some were faint, others were bold. I found notes of cocoa, toast, earth, oak, coffee, brown sugar, leather and spicy cedar. The final two inches finished with a nice mix of oak, earth and charcoal. Overall the Partagas event at Legends of Fire was a good time, and the 1845 Extra Oscuro was a great cigar. It had a great burn, great construction and nice flavors. I picked up a few at the event and am happy I did. 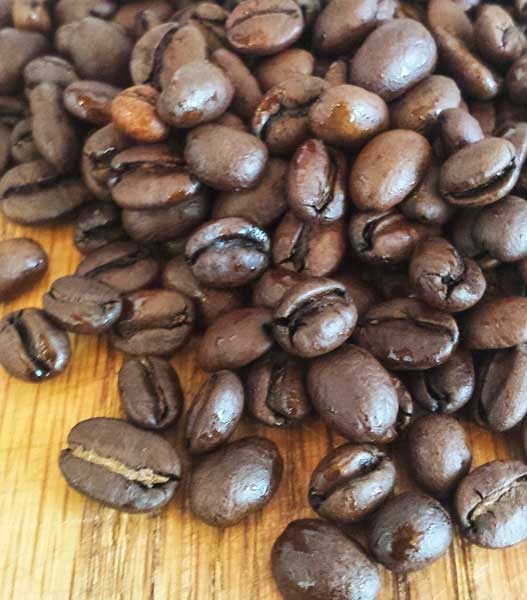 BunaMobile roasting company is a small batch roaster that specializes in roasting for fund raisers. You can find more information about their charities and fundraising on their website. The tag-line on the Buna Mobile web site reads, "Exotic & Specialty Coffees Delivered Farm-Direct Fresh To YOU!" So, lets see if this statement holds true for the Kenya Kia-Ora. Production: Only 1 or 2 containers per year. 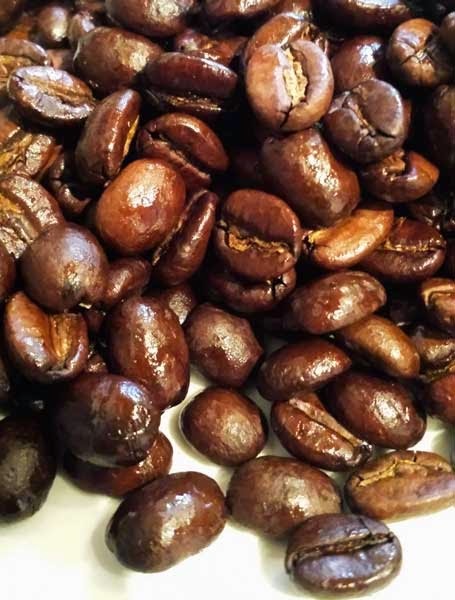 When poured from the bag to the grinder, the roasted Kenya Kia-Ora beans showed a nice amount of oily caramelization and had a robust aroma of cocoa and coffee. Once the beans were ground the aroma changed with the addition of nuts into the mix. When hot water was introduced for a pour over the coffee produced a nice bloom with a toasty aroma that took over the brewing area. Tasting notes: Nuts and toast with a bright, light, clean finish on palate, a lingering natural sweetness and a nutty aftertaste in the throat. Overall this was a nice roast that left me wanting another cup, in fact, I consumed nearly the entire sample bag on the day of the review. I give this Kenya Kia-Ora a well deserved 5 out of 5 star rating. You can find the BunaMobile Roasting Company on social media with these links: Facebook, Instagram. I would like to thank the BunaMobile Roasting Company for providing this sample for review. 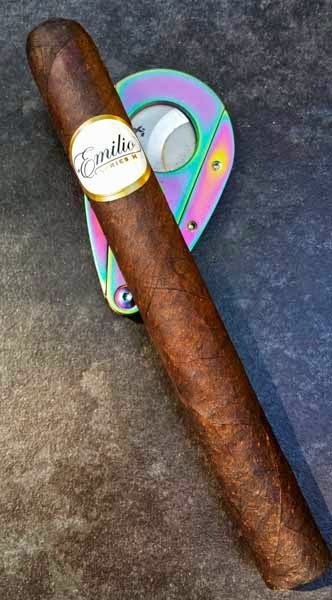 The Emilio Cigars AF-2 is another of the cigars that I smoke quite a few of, but for one reason or another have never taken the time to write a review. Well today I am correcting that error. Visually inspecting this Emilio Cigars AF-2 Toro I see a top quality cigar with an oily wrapper that is nearly free from veins and seams. Feeling the body, it's packed well full length with no hard or soft spots. Checking the foot, I find aromas of dried fruit, toast and rich tobacco. Once the cap is cut, I find a free but firm draw and the same flavors of dried fruit, toast and rich tobacco that were found from the foot. Once the cigar was toasted and burning it produced a nice volume of medium bodied smoke containing flavor nuances of mild pepper, earth and oak. As the razor sharp burn line progressed it left behind a light gray ash that held on for the first third. While the burn progressed other flavors came and went, I could distinguish separate flavor notes of fruit, sugar, brown sugar, toast, sweet cream, coffee and a lot more toast. The long finish, lasting most of the final third, reminded me of coffee with extra cream and sugar. The AF-2 is another great cigar from Emilio Cigars, overall it had great construction, a great burn and a nice flavor mix. Track some down and give them a try, I'm sure you won't be disappointed! I would like to thank House of Emilio for providing this sample for review! The new Elements Uranium is another cigar that I purchased just because of the cool artwork on the double bands. At the foot, the simple black band mearly shows the period table listing for uranium, but the top band show a skeleton in a radioactive field, flipping off the man (I guess). The wooden box that contains 18 of these mammoth 7x70 cigars has a clear plastic lid with the same great design. Not only was the size of the Elements Uranium impressive, but so was the construction. It came wrapped in an oily wrapper that was nearly free of veins and it was rolled on with near seamless precision. Feeling the body it was packed well and had one minor hard patch just above the top band. Aromas from the foot were a mix of toast and spicy cedar Testing the very free cold draw I detected notes of spicy cedar and tree fruit. While toasting this monster with my single flame jet, thoughts crossed my mind that I may have to fire up the grill to get enough flame to the foot, but I finally accomplished the task. Once it was burning it produced a large volume of smoke from the foot and big mouthfuls of medium bodied smoke flavored with black pepper, earth and toast. The pepper faded quickly leaving a mix of toast and earth for about the first inch. As the burn progressed there were other flavor nuances of oak, brown sugar, caramel, nuts, coffee and sweet cream. It was a pretty tasty flavor mix. As the cigar burned it left behind a soft light gray ash the held on for close to two inches. The burn was a bit wavy until the mid point where it evened out without correction. At the one hour mark I still hadn't reached the mid point and I began to wonder if I had purchased the everlasting gobstopper of the cigar world. In the end, I did have two problems with the cigar. First, when I removed the top band I could see a small hole in the wrapper. I checked the band and it had no tobacco stuck to it, so the band must have been placed over the wrapper hole, bad, bad, bad. Eventually this hole fractured like a spider web and did become a problem, but not the worst problem. Second, in the final three inches the burn did chimney bad enough that I couldn't correct it and I ended up ditching 2 1/2" of a tasty cigar. Overall with a 2:10 smoking time I thought the cigar was a good value for the dollar and to top it off, the flavor mix was great. If you get a chance to smoke one, I wouldn't pass it up! What happens when Drew Estate and Cigar Dojo team up? Something great, the Undercrown Dogma! After visiting the Smoke Inn website I came away with the understanding that Dogma, is a term describing a belief or set of beliefs that is accepted by the members of a group without being questioned or doubted. Cigar Dojo’s dogma? "Never Smoke Alone." 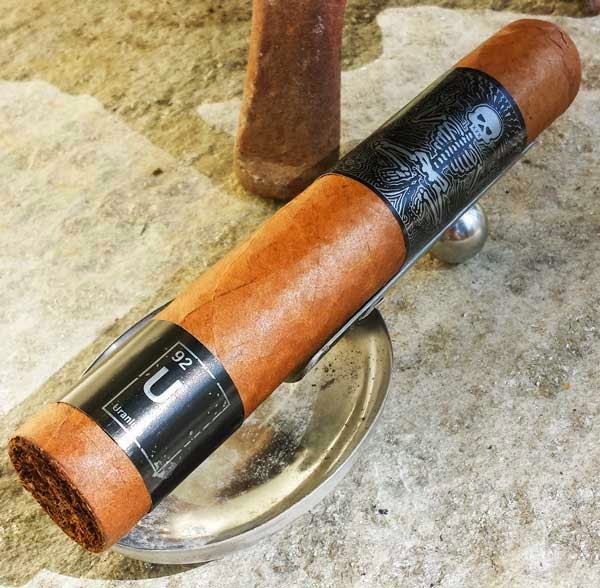 Drew Estate's collaboration with Cigar Dojo resulted in a new Undercrown that has been re-shaped, re-banded, and re-blended with added ligero leafs for a fuller bodied experiance and a box-pressed shape to better marry the flavors together. Once the Undercrown Dogma was free from the cellophane, the first thought that crossed my mind was just one single word: impressive. The steel blue, and gold dual bands really stand out against the box-pressed shape and the dark, oily, Mexican San Andreas wrapper. The wrapper itself would appear seamless if it were not so stout and toothy and surprisingly, the stout wrapper contained only the smallest of veins adding to the cigars visual appeal. Checking the foot for aromas there were notes of toast and cocoa to the nose. Testing the firm, but free, cold draw the same notes of cocoa and toast were present. Feeling down the body, the cigar was firmly packed with no hard or soft spots to be found. Toasting the foot with my single flame lighter, the cigar was quickly burning and rewarded me with an ample mouthful of sweet, nutty, espresso flavored, mouthwatering, full bodied smoke. As the burn progressed I found flavors notes of cocoa, brown sugar, sweet cream, oak, coffee, earth, tree fruit, vanilla and even a dash or two of black pepper. The wrapper left a lingering sweetness on my lips and the smoke left a fruity aftertaste on my palate. In my review notes I called the aftertaste "unreal," it was that good. I found the Undercrown Dogma to have a complex flavor mix since nearly each puff the flavor seamed to change until the final third. In the final third my favorite flavor mix of "burnt mocha" developed with an underlying hint of sweet fruit, ending my 60 minute smoking experience with a long, satisfying finish. Burn wise, as the burn progressed up the cigar, it was a bit wavy until the mid point and it left behind a firm light gray ash that held until the 1/3 mark. The burn never wandered enough to need correction and it self corrected by the mid point. A nice oil line developed above the burn line and by the final third the wrapper had a deep oily sheen. Overall all, I thought this cigar was fantastic. It had great visual appeal, great construction, good burn and a superior flavor mix. If you get a chance to smoke this cigar, I say, don't pass it up! I would like to than Drew Estate for providing this sample for review! Thank you! From the bag there were strong aroma notes of cocoa, coffee and blueberries. As the coffee was being ground for a pour over the aroma shifted to more of a bold chocolate, coffee mix. On the pour over, the ground coffee produced a large bloom and the strong scent of blueberries hit my nose. The aroma was fantastic! Once the brewing process was complete, the first sips from the cup yielded a light and crisp mouthful of coffee tasting like chocolate covered blueberries. As the cupped coffee began to cool, a hint of fresh baked bread developed. Overall this was a very enjoyable cup of coffee, it was bright and crisp with a syrupy mouth feel with strong notes of blueberries that lingered on the palate after each sip. Again I would like to thank Cravens Coffee for providing this and the other samples for review! Once the Gonzo Vintage 2007 is free from its cellophane wrapper the first thing you will notice is the stout, toothy, oily, dark, broadleaf wrapper. Yes you can see the wrapper seams on this cigar, but it only shows you just how stout the wrapper really is. The photo doesn't do the oil sheen justice, but you can see the lack of veins for such a stout wrapper. You will find the body is packed well full length, it's firm, but not hard, and there are no soft spots to be found. As I put this cigar to my nose to check the aromas from the foot, I found a pleasant mix of cocoa and dried fruit. Once there was a deep V cut in the cap, I checked the draw and the flavors. The draw was easy and free, but I was surprised by the bold Port wine flavor I found. Don't get me wrong, it was delicious, it just surprised me a bit. After toasting and lighting the cigar the first few draws produced a flavor mix of cocoa and rich tobacco. About an inch in the fruity Port wine flavor joined the flavor mix which lasted to the mid point. At the half way point nuances of earth and toast joined in with the cocoa and wine. To my surprise the finish developed as the burn line reached the final third. In the final third my favorite cigar flavor of burnt mocha developed, with a hint of wine, and held steady until the nub. Overall I found this to be a top of the line cigar with superior construction and flavors. The Gonzo Vintage 2007 is defiantly in contention for "cigar of the year". On the Epicurean Cigars website, Steven Ysidron says, "I have taken special care to ensure each of my cigar blends have a distinct and unforgettable flavor complexity that will leave a lasting impression". I have to agree. The Gonzo Vintage 2007 is available in these sizes. I would like to thank Epicurean Cigars and House of Emilio for providing this review sample. Thank you! This Ave Maria Immaculata Gordo is another cigar I just couldn't pass up. One, it's blended by the master himself A.J. Fernandez so it must be tasty. Second, it has one of the best bands in the business and the band is the reason I started buying and smoking Ave Maria cigars. 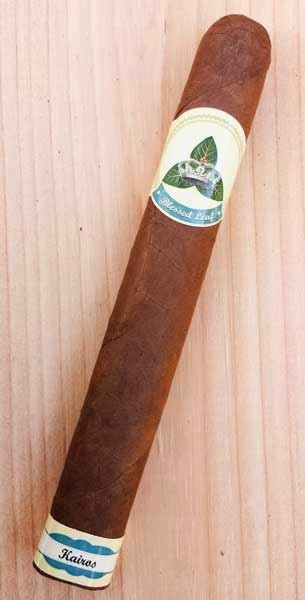 Third, the original Ave Maria and the Reconquista are top of the line cigars, so the Immaculata should be too. I could sum this cigar up in three words, "smooth and creamy", however, that's not much of a review so let's get to it. Construction of this cigar at first glance was fantastic, the wrapper was rolled on with seamless care and contained only the finest of veins, but, just below the second band there was a large wrapper wrinkle that went half way around the cigar. The wrinkle didn't hurt the smoking quality of the cigar, but I was surprised that it made it out of the factory with such a cosmetic flaw. From the foot I found a mild toast aroma and once the cap was clipped the free cold draw had notes of spicy cedar. After the cigar was toasted and burning it produced a large volume of smoke from both ends. The initial puffs resulted in large mouthfuls of spicy cedar and toast flavored smoke. This flavor mix carried on for the first third then notes of white pepper around the mid point, then bread, sugar and sweet cream joined in to finish the 60 minute journey. Like I said, smooth and creamy. What the Ave Maria Immaculata Gordo lacked in complexity, it made up for in balance, consistency and smooth rich flavors. This would make a top-notch before breakfast cigar or a nice early morning coffee companion.